If you have played bingo on the internet at some point then there is a fair chance that you are already aware of the Jackpotjoy brand. This means that if you want to give online casino games a try then you will probably want to give the Jackpotjoy Casino site a whirl. It is a fun and welcoming site with over 120 games on it, so our hopes were high when we entered it, and we weren’t disappointed. This is one of the most entertaining online casinos around and the home page opens up with some of the site’s characters pulling funny faces and getting us into the swing of things right away. Apart from the amusing banner the rest of the home page is standard stuff, with links to all of the information you could be interested in getting hold of. The site is slick and fast to respond. Instead of downloading games the way some other sites make you do, with this one you can get going straight away on some flash games in your browser. You can play for free in the demo mode or get playing for real. One aspect which you will be delighted to see is that the Jackpotjoy Casino offers completely original games, as it runs off the firm’s own Gamesys software. Some of the games on the site include the likes of Double Bubble, Twins of Evil, Jungle Jump, Bingo Royale and Roulette Splendide. The majority of the games are as much fun as you will find in an online casino and the range of themes means that you can pass a lot of time looking for things which interest you. Anyone who wants some fast fun and action will enjoy the games on this site. If you are more of a serious casino player you might want to look elsewhere but anyone else should find lots to keep them playing. There are always plenty of offers and promotions on the go at the Jackpotjoy Casino and the first one to attract your attention will be the welcome bonus. This is a pretty standard online casino offer of 200% cash match on your first deposit of up to £100. Once you get going you can also refer a friend and get another £20 paid to you. Apart from that, there are current deals such as BOGOF for Game Show lovers. 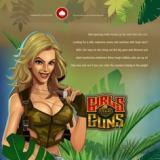 With this promotion you can make your cash stretch twice as far on one of the site’s most popular games. There are also a few special Halloween promotions right now, with Spooky Slots and Twins of Evil looking promising. The VIP scheme is well worth getting onto. By joining this you can pick up things like a birthday bonus, fast track cash withdrawals, special bonuses and VIP competitions. Regular wagerers should definitely be thinking about firing an email off to the VIP team to get their name on the list. For a few light hearted casino games the Jackpotjoy Casino is an excellent place to go to. The site is simple but welcoming and the games offer a lot of fun. The gameplay is more than acceptable and you could end up becoming a big fan of the site. Just don’t forget to get your `Refer a Friend´ bonus by letting them know about it rather than having them find out about it themselves. It is more suited to someone who wants a rather light hearted take on an internet casino and who likes a laugh while they try and win some cash. There is definitely no need to put on your best bib and tucker before you get playing here. Joy Points can be collected and traded for real casino and bingo cash or used in the Joy Shop for real items.